This is sure to please. 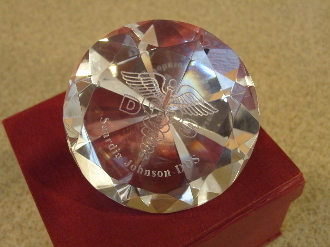 This crystal work-of-art is 3" in diameter and 2" in height. Please allow 3 weeks for delivery. Max of 20 characters for engraving.